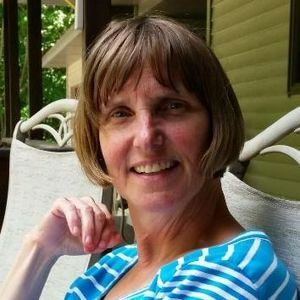 Helen L. Mosterd, age 63, of West Olive, passed away Monday, April 01, 2019 at Vista Springs Holland Meadows following a 7 year struggle with Frontotemporal Dementia (also known as Pick's Disease). Helen worked as an accountant at Holland Rescue Mission and Quality Door. She played the organ and piano and was a choir director. Helen also enjoyed hiking and the out-of-doors. Helen was preceded in death by her parents, Marvin and Dorthea Meeusen; and sister, Rose Sharda. A memorial service is planned for 4:00pm Sunday, April 7 at Victory Point Church, 11530 Ransom St., Holland with Rev. Hugo Vasquez officiating. Visitation is scheduled for 4:00-7:00pm Friday, April 5 at Langeland-Sterenberg Funeral Home, 315 E 16th St., Holland. Memorial contributions may be made to Paradise Bound and Eagle Wings Church. Condolences may be left online at www.langelandsterenberg.com.